When looking for a business from a distance, the name needs to stand out from its structure. 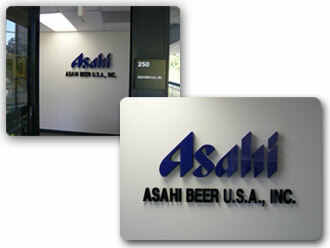 Dimensional letter signs can provide this first impression and easily catch the customer’s eye. 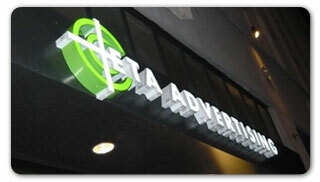 We have a variety of dimensional letters, from impactive neon signs, pop acrylic letters, gold and silver letters. Quick Signs provides all of these and more! 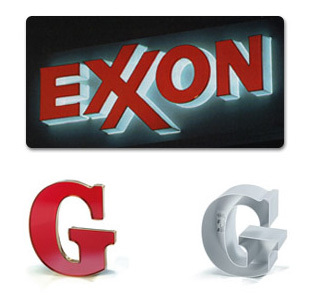 Plastic dimensional letters offer the greatest variety available today -from traditional to ornamental and script. 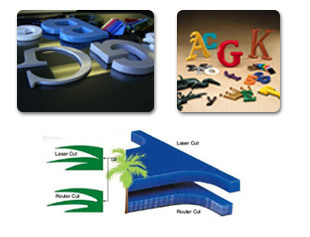 We carry a wide variety of plastic letters, Minnesota Letter, made from C.A.B (Cellulose Acetate Butyrate), a renewable (non-petroleum) resource plastic, Formed Plastic Letters, made form C.A.B, standard for most local business, and Laser Cut Acrylic Letter, 1000W lasers polish the edge return of all letters and logos as it cuts through the metal. Color is through out the entire letter, assuring no more scratching or color chipping. Each metal letter is manufactured one-by-one in aluminum, bronze, brass, copper or steel using up to twenty distinct manufacturing steps. We carry a wide variety of fonts for metal letters so please be sure to check with us and let us know what you are looking for! Injection molded Chanel Letter is produced using Artec, an engineering gread polymer. All excess material is recycled from our channel letters. And they are guaranteed not to dent, chip, corrode or fade. you will get a professional sign with an expensive corporate look. The materials are great for both indoor and outdoor use. The letters can be mounted on an outside wall or to a separate sign board based on codes or your specific needs. A luxury feel can be obtained by using our metallic letters. Maintenance free, with 26 times more longevity, 30 percent more cost efficient than typical neon sings - this is clearly a better choice. With this new technology developing, neon is no longer the standard because of the high cost, shorter life and maintenance involved. Neon signs are now being replaced by LED in the United States. 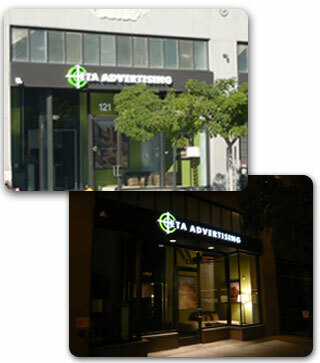 The photo shows a sign we produced for a hip retro company who wanted a futuristic, modern look on their storefront. We produced this exciting LED sign, with grace and approval from Long Beach city officials who stated they would like to have our LED signs be the standard for the city. It is safer and uses less energy than existing signage around the area. 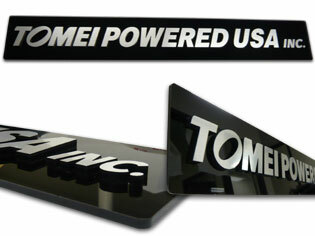 These channel signs offer a really modern, eye catching look - both in the day time and also at night when illuminated. This particular sign fit really well with the other surrounding company's signs, yet stands out due to high quality. accurately install and personally assure the quality of your sign to your personal specifications abiding all city regulations and codes. Manufactures only metal plaques - pure metal through and through to-your specifications. Whether the plaques are Architectural, Etched or those meeting ADA specifications, all use virgin materials of the highest alloys. Bronze, high-grade aluminum, lead-free brass, #304 or even #316 stainless steel is available. All plaques are lead and mercury free. 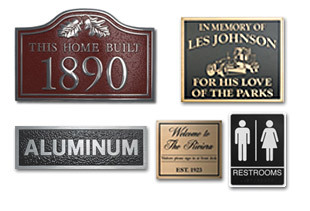 We have all the metal plaques you need to make a lasting impression. 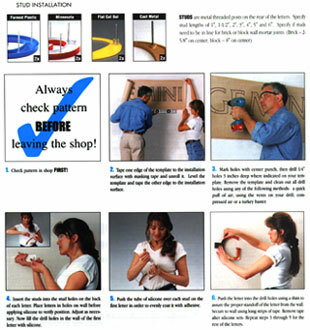 With Gemini letters you are able to mark and install them yourself! Each letter comed with its own pattern sheet, for easy tracing and placement. Each letter also comes with a simple how-to with directions and photos that make the process even easier!